This guide shows you how to install Pubfilm Kodi addon quickly and easily to stream Movies & TV shows. Use the steps below to install Mucky Ducks repo, which will install PubFilm for us in Kodi (aka “XBMC”). What is in MuckyDuck’s addon? 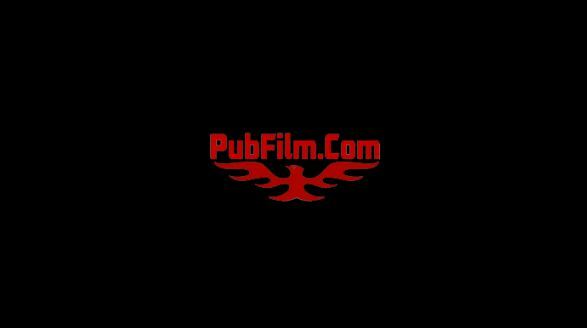 Mucky Duck updated Pubfilm addon again to the latest version (v2.1.0 as of Tuesday April 23, 2019)! So enjoy the streams from the Pub film addon with the step-by-step install tutorial below. To Install PubFilms AddOn Kodi, simply use the steps below to add Mucky Duck Repo to Kodi 17 or 16. Then use the Repo to install Pubfilm. ProTip: This Kodi add-on is great for parties! Using the steps below, we show you how to install Pubfilm on Kodi 17. For Pubfilms on Kodi 16, scroll down past this section. Now select “System Settings” from the system menu. Then choose “Add-Ons” from within the System Settings menu (“Add-Ons” is on the left side of the Kodi screen). Now turn on Unknown Sources on the right-hand side of the Kodi screen. Then return to the Kodi homescreen by pressing Back on your keyboard, Fire TV remote, or media remote. Now that Apps from Unknown Sources are enabled in Kodi, we continue on with the next step: installing the Mucky Duck Repo. In this section, we install the MuckyDuck Repo in Kodi, which enables us to install Pubfilm on Kodi 17. From the Kodi 17 home screen, select “System”. Then select “File Manager”. In the “File Manager” screen, select “Add Source”. Now select the box that says “None” and enter http://muckys.mediaportal4kodi.ml. Then press OK.
Then select the box that says “Enter a name for this media source”. Enter “.pubfilm” and press OK.
Now press OK once again to finish adding the new source. (Note: If Kodi says “Unable to connect to this source” or something similar, select “Yes” to add the source anyway). Then choose the “Package Installer” icon, which is a small icon of a Package in the top left corner of the “Add-Ons” screen. Now choose the new source you added: “.pubfilm”. Then select the repository.mdrepo–x.y.z.zip file (where x.y.z are some numbers). Wait for the “Enabled” notification to appear in Kodi 17. After the notification appears, continue with the next section to finish installing Pubfilm addon in Kodi 17. From the Kodi home screen, select “Add-Ons”. After you select the Package Installer icon, choose “Install From Repository”. Then select the new source you added, “.pubfilm”. Wait for the “Add-On Enabled” notification to appear in Kodi. You’re done! Now just launch Pubfilm..
To launch Pubfilm for Kodi 17, select the “Pubfilm” icon from the Kodi home screen. Or to to “Add-Ons” from the Kodi home screen and select Pubfilm. If you experience any trouble installing PubFilms for Kodi 17, let us know on the KFire YouTube channel and we’ll try and help you out! If this Kodi plugin / app doesn’t work for you, see our list of Best TV Addons and try another! Wait for the Install PubFilm process to complete. When it’s done, you’ll see a notification. To launch Pub Film, go to the Kodi home screen. Then select VIDEOS, then go to Add-Ons. Select Pub Film and then use the menu within PubFilms to watch streaming TV & movies! After MD Wizard launches, follow the on-screen prompts to install Mucky Duck Wizard! Then launch individual Mucky Duck addons by going to VIDEOS > Add-Ons from the Kodi dashboard (aka “home screen”). Finally, just select a TV Addon to launch the new TV Addon. Then use the TV Addon’s menu to start watching Kodi movies & TV streams. MuckyDuck’s fine Kodi add-on gives us movies show and tons of great video content. Whether you’re looking for those elusive engsub movies or just a great show to watch, this addon has you covered.